Welcome to the Hampton Inn Goleta CA hotel. This hotel is positioned within eight miles of downtown Santa Barbara in the heart of Old Town Goleta. The beautiful Central Coast of California makes Goleta a desired destination for today*s travelers. Conveniently located just off of famous Pacific Coast Highway 101 in Santa Barbara this centrally located hotel is near shops dining beautiful golf courses the University of California Santa Barbara Santa Barbara Airport and fabulous California beaches. Just moments away from the high-tech companies of the Goleta Valley the Hampton Inn Goleta CA is the preferred choice of today*s traveler. Whether you are traveling for business or leisure excellent service and the use of complimentary modern day features such as 32** HDTV*s and complimentary wireless high-speed Internet access ensure a relaxing and comfortable environment. 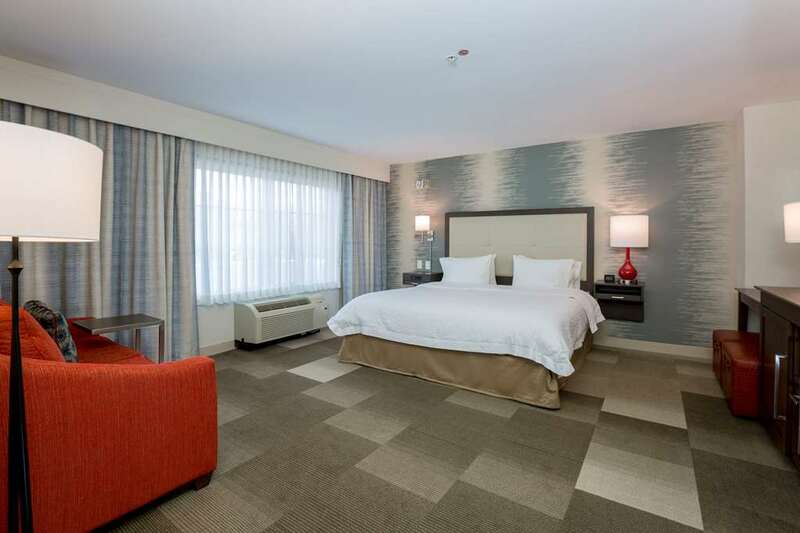 Offering clean accommodations with a value that exceeds expectations along with Hampton Inn hotel*s 100 satisfaction guarantee your stay is sure to be a memorable experience. We love having you here at the Hampton Inn Goleta California.